The secret to the United States military won’t be found locked inside a room at the Pentagon nor encrypted on a secure network behind a firewall. 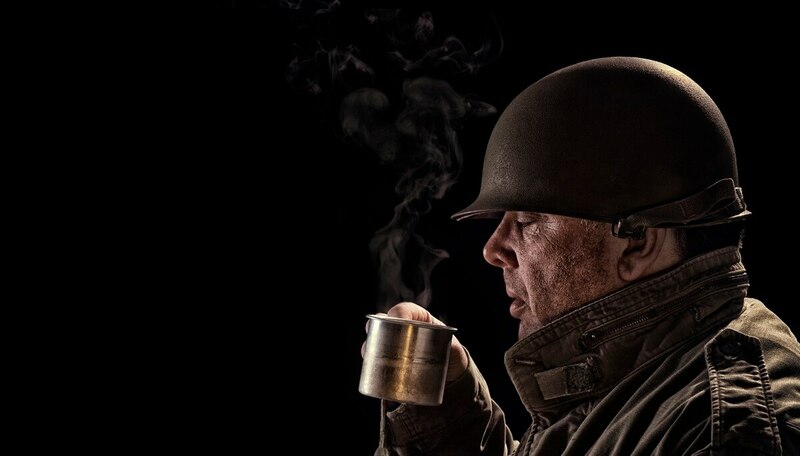 Looking back through history, coffee’s importance to American and military culture becomes abundantly clear. Maj. Steven Gagner works his days at the Army Mountain Warfare School in Vermont, but by night he is an enterprising businessman who started a brewery with a specific mission. These many years later, recognizing a service member’s caffeine intake remains just as important. The Army Medical Research and Material Command recently developed the 2B-Alert Personalized Alertness and Cognitive Performance mobile app so soldiers could individually calculate when and how much caffeine to consume for maximum effectiveness. Which brand is consumed most, though, is the real question. The brothers will announce the endeavor during Wednesday’s back-to-back episode season finale of “Wahlburgers” on A&E. With data obtained from the DLA, rankings were compiled showing which CONUS locations received the most coffee during fiscal year 2018. Rank is determined by the total pounds of coffee received, with number one being the greatest amount. The top four coffee consuming regions for the U.S. military outside of CONUS during fiscal year 2018 are also listed below. It terms of what brands occupy the biggest corner of the military’s coffee distribution throughout CONUS, Maxwell House and S&D sit atop the rest. Overseas, Maxwell House distributes primarily to Iraq, Kuwait, Jordan, Southern Europe, United Arab Emirates, Oman, Djibouti and Kenya, while S&D remains the most popular in Afghanistan. Coffee options in MREs, meanwhile, are limited. Individual branches of the military have some determination in deciding what brands of coffee they distribute to their men and women in uniform. However, the selection options come from the DLA. Ben Benson of the Naval Supply Systems Command discussed the typical coffee rotation for sailors. “For galleys ashore and afloat, common brands served in our galleys include Sara Lee, Maxwell House, Starbucks, Joffrey and Georgia, a Japanese brand provided on the carrier Ronald Reagan," he said. Navy Exchanges provide an array of brand options, including bagged coffee led primarily by Folgers, North Star, and Starbucks, K cup coffee led by Green Mountain, Starbucks, and Trilliant, and ready to drink coffee, with Starbucks, Monster Java and Dunkin' Donuts leading the way. Fifteen Navy ships also have coffee bars managed by Navy Exchange Service Command’s Ships Store Program. A petition is pushing to make delectable chicken sandwiches available on military bases. On the more commercially popular side, Starbucks and Dunkin’ Donuts remain formidable forces in the coffee culture of the military, and both companies have locations on military installations throughout the world. Service members have access to 34 Dunkin' Donuts locations on military installations in the U.S., as well as 10 more located on international bases, said Julia Block, a spokeswoman for Dunkin’ Donuts. Unfortunately, the Army, Marine Corps and Coast Guard did not respond to an inquiry about preferred brands of coffee. So, while that remains unknown, one thing is certain: that morning cup of dark roast is starting to smell a whole lot like freedom.